Congressman Steny Hoyer U.S. House Democratic Whip of Maryland with Senator Sylvia Garcia at a recent fundraiser for Garcia in Houston. 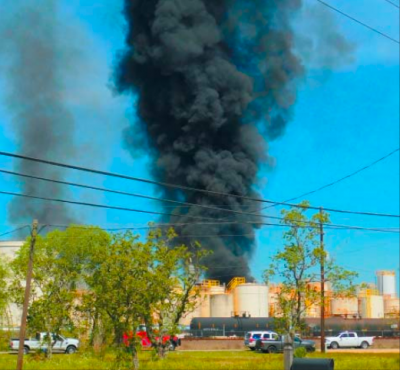 Houston, TX. 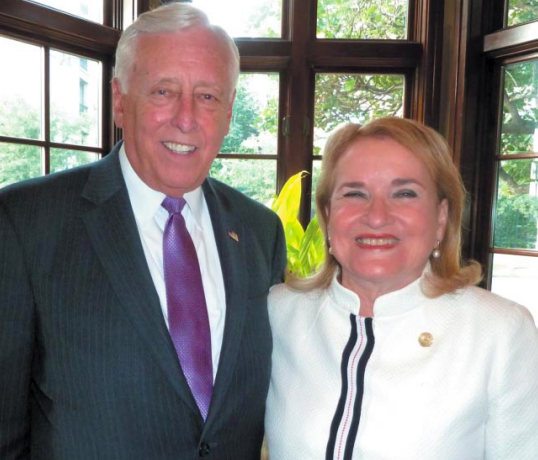 – Thursday, May 31, 2018 — At a reception honoring Senator Sylvia Garcia, Congressman Steny Hoyer, the U.S. House Democratic Whip of Maryland, gave a motivational speech emphasizing the importance to the Nation to elect Garcia in November. Hoyer said, “Our Nation is facing the most confrontational leadership in its history that’s undermining our Democracy. Our American Values are being threatened. By electing Garcia, it will make a difference because she understands those values and has the skills and experience to protect them. “My children, grandchildren and yours, need Sylvia in Congress to make sure the Country moves forward. By helping her, you’re helping our Country. Garcia, if elected, will make history by being the first Hispanic female to serve in Congress,” Hoyer said. Hoyer became the longest-serving Member of the U.S. House of Representatives from Maryland in history on June 4, 2007. Serving as House Democratic Whip, Congressman Hoyer shepherded the Americans With Disabilities Act to overwhelming approval in the House in 1990, and it was signed into law by President George H.W. Bush. This landmark civil rights legislation has helped millions of disabled Americans enter the workforce, achieve independence, and go as far as their talents take them.